This live channelling was given in Hot Springs, Arkansas. To help the reader, this channelling has been revisited [by Lee and Kryon] to provide even clearer understanding. Sometime information is even added. Often what happens live has implied energy within it, which carries a kind of communication that the printed page does not. So enjoy this enhanced message given in Hot Springs, Arkansas. Greetings, dear ones, I am Kryon of Magnetic Service. We wish to take a moment to honor the science of today, of yesterday, which was presented in this place [speaking of the presentations during the conference]. For 26 years, I have given you messages over and over that may have sounded odd to you. When I've given you truths that were not yet validated, or told you things that were not the mainstream of thought, they were just things that had no basis. Year after year, slowly some of these things have come to fruition, but only now are you starting to see the Kryon message validated in this way. I want to fill in the gaps, just a little, in this final message of this day. The science, as taught this weekend, is complete and is accurate. For those who have not been here who are listening to this, it sounds much like it was torn from a page of the many Kryon messages over time. We told you years ago about how long humanity really had been here. We gave you the timeline of humanity since what we called the seeding 200,000 years ago. We told you stories, perhaps, that you did not believe at that time. We gave you numbers to look at, and we even gave you unknown history to consider. Here it is right now, being validated in front of your eyes F the charts, the graphs, the research. The scientists come only to the edge of truth, giving you what they can, and for good reason. The truths they speak of are things that need to be validated, proved, and researched. They can't do that yet, but they can take you to the edge of validation by showing you the evidence. Proof is more elusive, and science wants proof. So they present the research that piles up to conclusions of common sense and connecting the dots. Indeed, it has been shown over and over that research would indicate that you may not have biologically come from anything here on Earth. The missing link remains missing. We said that years ago. We told you it would always be missing because you did not come from anything here, and now these words are being echoed in the very teachings of these last two days. These science teachers take you to the edge, but they don't tell you "who" might have been involved in your beginning. The esoterics of it all is my job, and I will start to complete the picture, which then will marry itself to the science. The scientists are telling you about fractals. Fractals are the way of all physics, of all biology. If you ask a physicist about fractals, they will give you all of the mathematics - big to little, bigger, smaller - and all of it represents fractals of sameness. Biologists know that everything goes from small to large in fractals. It's simply the way of things. The teacher Gregg [Gregg Braden] comes up with the research that is absolutely, 100% accurate when he starts discussing the potential of time repeating itself, something you've heard in conversation all your life. It's obvious that it, indeed, does seem to repeat, but could it be that it does so in ways that you haven't even discovered? He's right. I want to take it to another level. I sat in Turkey and gave you a message of unknown history. It's a good place to have given that channel. We told you you would discover civilizations that you have no record of, and that you don't believe have happened. We even told you that this planet has had numbers of civilizations before yours, and that they terminated themselves in various ways. Now here comes the science as presented today with the same message. It's starting then to wrap around itself, is it not, dear one? You've seen the teachings of the odd, esoteric things from me for years, and now you are hearing from others who are starting to validate them. They are now being discussed, discovered, and researched - and the picture begins to sharpen. I want to talk about the fractals of time for a moment. It's difficult if you were not here in the conference to go to the next step. However, it's important to know what was said, because we have spoken of these very things in the past. Our words didn't include fractals, but we spoke of a patterning and a system and the timing involved in what's happening. The teacher, Gregg, has done his research well, and has proposed that the ripples of time come back upon themselves. * They present themselves in a way that would allow you to predict and calculate when they might occur again. They come in such a fashion that they reinforce one another and perhaps might be even stronger than when they occurred before. You even clearly see that the math of the fractals show you are at the end of a cycle, the one we have told you about. He's right, and you are. The Mayans told you the same thing, and the others who had calendars much like the Maya long count said the same thing. The Aztecs and the Toltecs had a similar calendar. The prophecy was everywhere! So here's the big question: What keeps you from repeating the old history now? It comes upon you yet again and the fractals are there and the history is clear. The patterns are there, and they are the same ones over and over. Why won't you repeat them? Why won't you go to the final war and terminate humanity yet again? I'm going to fill it in esoterically for you right now. Dear ones, there is a fractal that I'm going to call the fundamental. This fractal was not necessarily discussed yesterday, but I'm sure the teacher Gregg knows it. Sometimes when you're dealing with the discussion of patterning and repetition, you have that which would seem to be invisible, because it's not perceivable within your normal Human consciousness. The fundamental beginning fractal of time is the one that the others build upon. It's the start, the fundamental wave, and I will show it to you. Everything resonated to the fundamental in multiples. I will even give you some numbers to consider. The fundamental fractal of your earth time is the precession of the equinoxes of the planet. All the ripples of potentials are built from it. This precession is caused by a physical wobble of the planet, which takes 25,630 years. That's how long it takes for one cycle, or wobble, to return to the start. Because it is so long, it can vary up to 1%, but not much more. The 25,630 years is the measurement of the wobble of the planet. If you take the Mayan calendar long count, then exactly five Mayan calendars would fit into the 25,630-year wobble. The long count as described by the Maya is 5,125 years. * This also happens to be the length of time that your former unknown civilizations that we spoke of lasted before they would annihilate one another. It all starts to make sense. The fundamental fractal, dear ones, is the key to why this current cycle is different. It's because you're sitting on the end and beginning - the center point of the precession of the equinoxes. It's the first one in modern humanity. Time simply isn't just coming around again like it did before. This is the center. This is the prediction of the ancients and the Mayans, and that's why the old calendar stops now, and starts again with another long count. This fundamental center, the precession of the equinoxes, gives an energy that none of the cycles within it did before. There is an allowance in this center fractal cycle for you to shift it and change it. The proof of this are the wildcards you see all around you. You already have started! The fall of the Soviet Union is a good example of a wild card. It's a shift of Human nature to begin a harmonious process of putting things together, instead of tearing them apart. This is especially profound when you see it done with the nations of the planet who used to be enemies for centuries. That's different! That's new! It's not going to repeat the way it did in the past. "Well Kryon," some say, "you've got some ripples and fractals coming up that are dangerous. In fact, there is a major cycle starting in 2017 that looks ominous." Dear ones, I'll give you one main reason why this is now different from the other repetitive long counts. There's a 36-year window to the procession of the equinoxes. The window is 18 years to the center [which is December 21, 2012] and 18 years out of it. You're still in the last 18 years. You are still in the residual energy of the last long count. The time fractals are still there, and there are still major potentials being felt. Indeed, they still could happen, but there's more to this, and that's what I want to tell you. That's just one thing of many that will cause this time to be different. Let's ask the main question again: What makes it so different this time? You're centered up on the prediction of the ancients and the end of the fundamental cycle of 25,630 years. This alone gives this time a special energy, but that's not all of it. Long ago, I told you who seeded you and we spoke about Human consciousness evolution beginning now, where it has been stagnant for so long. We told you about the Pleiadians being the source of your current DNA (and the missing link). We gave you a channelling called “The Compassion Factor” for you to know what the real difference is, and what's really going to change humanity - compassion. However, you're so linear and so 3D that you're saying, "Will DNA chemistry change? Can we watch it change?" The answer is of course it's going to change, but not like you think. Metaphor coming: The farmer has a field that he has worked for years. He comes home and announces, "There's a new kind of crop. There's a wonderful kind of crop and it's going to be growing soon." So are you going to go out and see if the dirt has changed? No. It's the seeds that have changed. DNA is not what you think, and this information was given to you yesterday [referring to the information from Dr. Bruce Lipton]. DNA is not a static, unchanging group of chemicals. Instead, it's the framework blueprint for the Human body; it's the dirt that the evolution seeds grow in, and the seeds represent your consciousness, not the chemistry. So don't study the chemicals looking for Human evolution. Instead, study the consciousness shift of the planet. But that's not all. I want you to start using spiritual logic, something that will be more obvious in time. The Pleiadians are your spiritual-seed creative parents. Simple. Most of the earth will not believe that. Your accepted creation story sounds just like it, and even the timing is the same, but it can't involve an E.T., to be believed by most. The very thought of extra-terrestrials always involves those who come and conquer you or hurt you. This is your bias and is a reflection of your own Human consciousness and what your brief history has been. You do it, so you expect all life forms to do it. We've said this before. The Pleiadians have a civilization that is millions of years earlier than yours, dear ones. What do you think that might that look like? It is a very advanced civilization that has gone through what you've gone through. They have a very high, wise consciousness that can even control physics through thought, and they came here with a divine plan to give you the knowledge of dark and light and the free choice of duality so that you can work the puzzle. Their God is your God - the creative source. That's what they did here, and they are like your biological seed parents, and they care. They must be hands-off, but they care. The Pleiadians themselves gave a time limit for your growth, and it's the one you are looking at right now. It is the start and end of the precession of the equinoxes, the middle of the fundamental cycle, 25,630 years. You had several civilizations that started and stopped during that time, and if you hadn't made it by now, you weren't going to make it at all. This was the last chance. You started to change in the last decades, and by the late '80s it was obvious that you were going to shift. The Harmonic Convergence of 1987 was a turning point. I then came in 1989. At the beginning of 1992, you dissolved the Cold War. It was starting to happen! When the Pleiadians seeded you, they set up a system in case you would make it, and we have given that information to you before. It's called the nodes and the nulls of the planet. The nodes and the nulls just sat there dormant as time capsules, waiting for the right time to activate. That time has arrived, and we have identified all of them, and they are starting to open. "Kryon, we have never heard of this before. This is so esoteric, and we have no knowledge of this. There are no ancient writings that have indicated it either." Dear one, use your logic. Of course you didn't know about it, because you hadn't reached that finish line of December 21, 2012! This was information for those who would make it, not for an earth that was always on the edge of destroying itself. We saw what was happening where you disarmed the third world war of your civilization. The proof that it was a last-minute turnaround is that everyone is still expecting it! It's almost like waiting for "the other shoe to drop," right? I want to ask you a logical question. When you have children, and it's time for them to ride a bicycle, what is the process? First, you get them a bike. Then what is next? Do you hand them the bike and say, “Good luck, kid! I know you may fall over and hurt yourself, but that's just the way bikes work.”? No! Loving parents don't do that. Instead, you give them training wheels and you work with them. You hold the bicycle until they get the feel of it; you run alongside the bike with the training wheels engaged until they've got it right. You smile with glee as they get the balance that you know every child will eventually have, and then they pedal off without you as you cheer them on. Well, dear ones, the fundamental fractal is at hand, and the training wheels are the nodes and the nulls. They open, activate, pair up, and begin to wipe away some of the negativity and darkness of this planet in order to give you a fast track to a higher consciousness. We've been telling you this for years - how they work and how they remove the old energy via the Crystalline Grid, the Gaia Grid. This entire conference is about remembering, and yet many say, "Remembering what?" I'll tell you what to remember. I want you to remember the original information the Pleiadians gave you when you got here! That's what you are remembering, old soul, and that is what this node is about to pour out into the Crystalline Grid. It begins to erase the remembrance of war and suffering from this planet. It's going to change the time fractals themselves, almost a restart for the Crystalline Grid. What you must know is that the Crystalline Grid is partially responsible for remembering the old fractals of time. These are the fractals that say history will repeat itself, even though you are creating a new future and voiding them. When they start to be erased and reframed, it's like a restart of the energy of humanity. I want to ask you, wouldn't you do that for your children? Doesn't it make sense that the Pleiadians, who brought you the beautiful energy of the love of God, would also provide help to get through this new and unknown evolution of consciousness? Don't you think they would give you the training wheels? Doesn't it start to make esoteric sense that this new fundamental cycle beginning would carry something beautiful if you made it? Well, here it is, and it has arrived, and this cycle beginning is different! Don't let anybody tell you, "Here it comes again. We are overdue for war, so it's coming!" Just because you did it before doesn't mean it's guaranteed to happen again. This cycle is different. 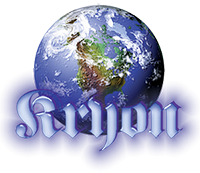 That has been the message for 26 years, not necessarily presented in those terms, but it was the message right away in my first publication in Chapter One of Kryon Book One: "There will be no World War III. There will be no Armageddon. The old prophecies will not happen." Twenty-six years ago, we saw your shift coming. The fundamental fractal is recalibrating in readiness to start again with a different energy set, and this is why you're not going to repeat the past. The timing of the training wheels duration is up to you. You have free choice and can make it as difficult or as easy as you want. Even with training wheels, you may still fall over, but with the help brought to you in this new energy, you'll get right back up and keep going. It can be a long haul for an older humanity to start a new system of consciousness. I'll say it again: Two steps forward, one step back. It's part of a new Human and you're in the right place at the right time. Don't you feel it? What you heard today and what you heard yesterday is the paradigm of truth. Doesn't it ring true that something special and different is going on? And I'll tell you what it is: You are going on! You have a higher consciousness because you sit here asking yourself, “What am I feeling that is so different?” The difficulties you've been through regarding the recalibrations we've talked about are all part of this slow shift into a new consciousness. You are going to sail right through the old fractal and potentials! Congratulations, dear old soul, for coming into this planet at this time, knowing these would be difficult times. You weren't going to miss the party, were you?